As if further proof were needed that Julianne Moore can play any character in any genre and light up the screen, along comes “Gloria Bell.” This deceptively light look at the inner life of a middle-aged, di­vorced woman who fends off lone­liness and boredom by dancing at a local disco is a love letter to its central character and to the lumi­nous Moore. In a seemingly effort­less performance, she anchors the movie’s story, in which not much happens, yet everything happens. “Gloria Bell” is the American ver­sion of writer-director Sebastián Lelio’s 2013 Chilean film “Gloria,” starring Paulina García, who earned critical acclaim as the titular char­acter. It was Moore who persuaded Lelio to make an English-language version. Moore told Lelio, whose 2017 film “A Fantastic Woman” won the best foreign language film Oscar, that she would star in the new film, but only if he directed it. “Gloria Bell” is basically a recre­ation of “Gloria.” Other than shift­ing the action from Santiago, Chile to Los Angeles, “Gloria Bell” is the same understated, gently com­ic, often bittersweet story about an ordinary woman, more or less content with her life, who takes a chance on a new romance. Gloria lives alone, works in an insurance office and juggles rela­tionships with her two grown kids (Michael Cera and Caren Pistorius), ex-husband (Brad Garrett) and in­dependent mother (Holland Tay­lor). Her day-to-day routine and simple pleasures are revealed with brief glimpses, such as the joy she takes in unselfconsciously singing to radio hits such as Olivia Newton John’s “A Little More Love” as she drives to work. Gloria spends most nights danc­ing, sometimes alone, sometimes not, at a nightclub that draws an older crowd. That’s where she meets the shy, newly divorced Ar­nold (John Turturro). The two be­gin a romance that has all the awk­ward fits and starts of reality, but that radiates on screen thanks to the performances of its two stars. It’s easy to see why Arnold would fall for the likable Gloria; it’s not as clear what she sees in him, partic­ularly when his phone lights up constantly with nagging messages from his ex-wife and his two grown daughters who constantly need him for something. Still, Arnold has his charms and we get the sense that the magic of a love interest hasn’t sparked for Gloria in quite some time. Arnold takes Gloria to the amusement park he owns where she skydives and learns to shoot paintball. She learns that Arnold is a former Marine, with an interest in guns. That’s not even the reddest of the red flags. When they take a weekend trip to Las Vegas, Arnold inexplicably disappears, leaving Gloria alone. Moore plays this turn with subtle shifts from cautious happiness to vulnerability to defi­ance that she will not be a victim. Gloria stays in Vegas, a place that can seem desolate and lonely even under the best of circumstances. The moody Arnold apologies and explains, and he and Gloria rec­oncile until the film’s darkly comic centerpiece scene, a dinner party at Gloria’s son’s house at which Arnold, meeting her family for the first time, makes a less-than-favor­able impression. The resilient Glo­ria bounces back again, with a final scene likely to leave much of the audience cheering. Moore shines in every second of the film as she navigates the full emotional spectrum. An American movie centered on an ordinary middle-aged woman is enough cause for celebration. But “Glo­ria Bell” revels in its small, telling moments, such as Gloria laughing boisterously with other women in her yoga class, dealing with an annoying neighbor or a frustrated coworker, or just letting a great song wash over her. With subtlety and grace, Moore captures Gloria’s joie de vivre and her determination to keeping dancing as long as the music moves her. The Apollo 11 moon landing took place 50 years ago, but images from that monumental event are as majestic and breathtaking as those beamed back to earth from outer space in July 1969. One doesn’t have to be a space exploration enthusiast to appreciate what the new documentary, “Apollo 11,” delivers, which is a first-hand account, told entirely through the images and sound recorded at the time, of what is still one of the most remarkable feats of modern history. “Apollo 11,” now in select theaters. including the Jane Pickens Theater, is directed and edited by Todd Douglas Miller. He uses newly discovered archival footage from the NASA vaults, most of which has never been seen before, mixed with news footage of astronauts Neil Armstrong, Buzz Aldrin and Michael Collins preparing for the mission, and stage-setting shots of the Saturn V rocket on the Cape Canaveral, Florida launch pad, as well as the massive apparatus surrounding it. As thrilling as this footage is, just as fascinating are the images of the crowds, with cameras and binoculars and kids in tow, gathered on motel balconies and on the beach to watch the take-off, and the news crews and photographers alongside them. Their cameras and equipment may look vintage, but the technology employed by NASA on the ground and as the crew hurtles through space looks futuristic even today. Loren King is an arts and entertainment writer whose work appears regularly in The Boston Globe and other publications. Miller doesn’t employ talking heads. But there is a narration of sorts provided by Walter Cronkite’s newscast over the course of the eight-day mission that grounds the viewer and offers insight into the occasionally confusing maneuvers taking place after liftoff. Miller also uses some white-on-black graphics and animation to illustrate the mechanics of the trip to the moon and the landing, which is still a heart-in-the-throat moment. Meanwhile, on the ground at both Cape Canaveral and in Houston, the massive NASA teams that controlled the mission’s every move are tracked, with the original sound, in split-screen. This is particularly effective during risky maneuvers, of which there were many. Like all great mysteries and thrillers, just because we know the ending of this journey, it’s no less captivating to get there. The three astronauts are revealed in small ways in the documentary, though for a closer look into their personalities and emotional states one would do better to revisit Damien Chazelle’s underrated “First Man” from earlier this year. That film focused on the emotional life of Armstrong (played by Ryan Gosling) and his journey to becoming, almost randomly, the man who took that small step onto the ashy lunar surface. That was an exhilarating moment in “First Man” and it’s pretty stunning in the documentary to view the actual footage of Armstrong, followed some 20 minutes later by Aldrin, strolling buoyantly in their spacesuits on the moon. Collins, meanwhile, had the crucial role of orbiting the moon in his capsule until the precise moment when the two crafts had to meet up and re-engage for the return trip. What’s just as revealing, though, are the images that the flight crew recorded from outer space, shot though the small window of the capsule. The dark craters along the edge of the moon, the shots of planet earth far off in the distance, are images that have been recreated by science fiction movies such as “2001: A Space Odyssey.” But that renders the actual footage even more spectacular and almost unfathomable. Armstrong, Aldrin and Collins were not only witnessing these otherworldly sights, but recording them for the world and for future generations. To see them now, accompanied by Matt Morton’s majestic electronic score, is a profound reminder that, quite simply, the universe is a pretty big place and modern-day space exploration likely scratched just the surface. Just getting there was enough of a feat. That this fantastic voyage still has the power to astound and humble us is an added gift. We're hiring at The JPT! Team player who will actively support the needs of box office, concessions, office and on-time operation of films and events within the building. Customer service skills an important priority. Knowledge of film an asset. Digital projection(DCP) experience preferred but will train if have IT skills or aptitude. Position is late afternoons, evenings and weekends. 15 to 30 hours per week based on experience and the needs of the business. By Loren King of Newport This Week. The Academy Award nominations will be announced Jan. 22, making it one of the high holy days for movie zealots and awards season trackers. The only sure thing in a year rich with fresh and diverse films is that there will be egregious snubs and welcome surprises. Alfonso Cuaron’s “Roma,” now on Netflix, could become the first foreign language film to win a best picture Oscar. I expect it to lead the best picture nominees, along with “A Star is Born,” Spike Lee’s “BlacKkKlansman,” Yorgos Lanthimos’s “The Favourite” and Peter Farrelly’s “Green Book,” which got a big boost with its win at the Golden Globes. Now that the Academy of Motion Picture Arts and Sciences can nominate as many as 10 films for best picture, additional nominees may include director Barry Jenkins’s critically lauded “If Beale Street Could Talk,” Ryan Coogler’s groundbreaking Black Panther,” Adam McKay’s “Vice” and “Bohemian Rhapsody,” a weak contender but one with momentum after its surprise Golden Globe win. Even though 2018 was banner year for women filmmakers, it’s a pretty good bet that not one will be among the five nominees for best director, even though Lynne Ramsay (“You Were Never Really Here”), Debra Granik (“Leave No Trace") and Marielle Heller (“Can You Ever Forgive Me?”) captured some critics’ year-end awards. The surprise could be Granik, named best director by the Los Angeles Film Critics’ and who could possibly make the cut. But it’s a crowded field. Lee just got his first nomination from the Directors Guild of America, so this will be the Academy’s chance to recognize him for his robust body of work with a nomination for “BlackKklansman,” his strongest film in years. Cooper and Cuaron are solid bets, with Jenkins, McKay, Coogler and Lanthimos also in the mix. I don’t think Farrelly will get a nomination, even though “Green Book” will be among the best picture nominees. Mahershala Ali is also the co-lead with Mortensen in “Green Book,” but he’s relegated to the supporting category, a common studio awards ploy that is unfair to the actors and takes a potential nomination from a truly supporting performance. He’ll be joined by Richard E. Grant as Melissa McCarthy’s buddy in “Can You Ever Forgive Me?” After that, look for Adam Driver (“BlacKkKlansman”); Timothee Chalamet (“Beautiful Boy”) and, just maybe, the always solid and much-beloved Sam Elliott (“A Star Is Born”). Brian Tyree Henry was memorable in both “Beale Street” and “Widows.” It would be a deserving surprise if he was recognized here. Of course, all bets are off come Jan. 22. But no matter how wrong my guesses might be, I’ll still be predicting who will take home the Oscars in advance of the Feb. 24 ceremony. Director and Oscar-winning screenwriter James Ivory sure loves Newport and the Jane Pickens Theater. The legendary director of such screen classics as “A Room with a View” (1985), “Maurice” (1987) and “Howards End” (1992) has visited the JPT several times over the last few years to screen his films and chat with the audience. Ivory’s most recent visit on March 11 came just one week after he won the Oscar for his adapted screenplay for “Call Me by Your Name,” a summer romance set in Italy starring Timothee Chalamet and Armie Hammer. The honor distinguished the 89-year-old Ivory as the oldest competitive Oscar winner in Academy history. Ivory makes good on that promise Dec. 2 when he’ll appear at the JPT with his 2003 comedy “Le Divorce.” Adapted by Ivory and his frequent collaborator, Ruth Prawer Jhabvala, from Diane Johnson’s popular 1997 novel, the film received largely mixed reviews when it was released. The screening is at 1 p.m., followed by a 3 p.m. conversation with Ivory again hosted by Hinman. Although many of Ivory’s films are rich with wry observational humor, “Le Divorce” is a more traditional culture-clash comedy. Kate Hudson is in winning form as Isabel Walker, a young woman who arrives in Paris from Santa Barbara to visit her half-sister, Roxie (Naomi Watts). Pregnant with her second child, Roxie is coping with a rocky marriage to a French artist (Melvil Poupaud) from an insufferable bourgeois family with Leslie Caron as the matriarch. Caron is just one of an ensemble of delectable supporting players. “Le Divorce” also boasts Stockard Channing and Sam Waterston as Roxie and Isabel’s American parents, and Glenn Close as an expatriate American writer with a past. With Roxie overwhelmed by domestic travails, Isabel escapes to explore Paris on her own, engaging in a series of social and romantic adventures that allow her to reinvent herself. The comedy of manners is also a love letter to romance-infused Paris, where the movie was shot. Ivory’s films often examine the idea of finding oneself abroad, most notably in “A Room with a View,” about a young British woman and her aunt (Helena Bonham Carter and Maggie Smith) who vacation in Italy. Before “Le Divorce,” Ivory directed two other notable films set in France. “Quartet” (1981) starred Maggie Smith, Isabelle Adjani and Alan Bates and took place in 1927 Paris, and “Jefferson in Paris” (1995) followed Nick Nolte as Thomas Jefferson when he was the U.S. ambassador to the court of Louis XVI against the backdrop of the French Revolution. Ivory won his first Oscar earlier this year, but he was nominated three times for directing, for “A Room with a View,” “Howards End” and “The Remains of the Day,” all made in collaboration with producer Ismail Merchant. Their professional and personal partnership lasted 44 years, from 1961 until Merchant’s death in 2005. During that time, Merchant Ivory Productions made more than 40 films, with many regarded as masterpieces. They were often joined by Jhabvala, the third member of their celebrated trio, who scripted 23 Merchant Ivory films, winning Oscars for her screenplays for “A Room with a View” and “Howards End.” She died in 2013. In his Oscar acceptance speech, Ivory paid poignant tribute to his two longtime friends and creative collaborators. Most travelers can recite the top New England tourist attractions pretty easily – walk the Freedom Trail in Boston, drive through Vermont during fall foliage season, go hiking in Maine, etc. But you’d be surprised at how many five-star New England tourist attractions are just off the beaten path. We’ve mentioned our favorite hidden gems below to create the ultimate list of New England attractions that deserve more hype. Kathy Staab bought the Jane Pickens Theatre in Newport, Rhode Island in 2004, initially simply as an investment while still active in her long and successful career in fashion and retail. Over the years she had held various merchandising executive positions at Brookstone (Gardeners Eden), Talbots, Jordan Marsh and Macy’s where she developed a clear sense of current trends and customer demands. When exactly the theatre became not simply an investment but her passion is unclear but today she’s using all the skills she learned in retail to revitalize and remake one of the oldest theatres in North America. Daffodil bulbs at The JPT? Daffodillion, fast approaching its goal of having 1 million daffodils blooming throughout Newport, is once again distributing free daffodil bulbs to Newport residents and businesses. Free Daffodil bulbs will be distributed at The JPT Monday October 17th to Thursday October 20th from 4:00 to 7:00. The complimentary packets of 2 dozen bulbs have a retail value of nearly $20. Art House Theater Day is our industry's very own celebration of the physical venues where film lovers can share in their mutual love of cinema. A very special all day event! Art House Theater Day will celebrate the cultural role that The JPT plays in our community. We also plan to educate the public on a national scale about what it means to be an art house theater: fostering film appreciation, supporting emerging artists, and exhibiting independent and original filmmaking. Art House Theater Day (AHTD) is modeled after Record Store Day, a wildly successful consumer holiday that is a driving force behind the recent vinyl resurgence. With parties, live performances, and limited-edition items incentivizing massive attendance, Record Store Day reminds patrons of the vitality of their local record stores, and of the value of having a local, brick-and-mortar space to connect with music and their community. The Art House Convergence, an international consortium of independent, community-based, mission-driven movie theaters, is pleased to announce the first Art House Theater Day, taking place on Saturday, September 24, 2016. Over 160 theaters will participate in this nationwide celebration of the cultural and community growth that art house theaters promote. Kudos from the Newport Stylephile! The Bevvies: The Pickens is the only theater town serving up craft cocktails, so while you can opt for a trusty Mojito or Dark n' Stormy, consider one of their specials like the Pom Fresco (vodka, cucumber, pomegranate, Prosecco and fresh lemon), Jane Pickens (gin, Pimm's, lavender and fresh lime), Gotham City (barrel aged Manhattan), Selma (tequila, habanero, cilantro, grapefruit and fresh lime) or the Sailor's Cider (Newport's own Thomas Tew Rum with cider). Me? I chose a simple split of Prosecco. Cheers! 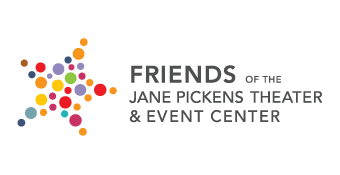 ©2019 Jane Pickens Theater & Event Center.